Dental restorations are words that send shivers down the spines of many people. Technological advancements have not just improved the materials used but also the methods for dental restorations. We have a range of pain management and sedation options available to our clients to help make treatments as painless and stress-free as possible. You and your dentist can discuss the best options for restoring your teeth. Composite fillings are the most widely used today. Because composite fillings are tooth colored, they can be closely matched to the color of existing teeth, and are more aesthetically suited for use in front teeth or the more visible areas of the teeth. we have the experience and expertise to bring together the various advanced dental disciplines required create white fillings that not only look great but they function correctly, are healthy and will last for many years to come. Our natural teeth are made up of enamel, dentin and pulp. The portion of the tooth that is visible is the enamel. When the enamel cracks, decays, or is broken off and after root canal treatment, it is sometimes not possible to fill the tooth and a crown may be necessary. A crown covers the entire tooth and restores the tooth to its original size and shape. While a bridge is used to replace one or more missing teeth. These restorations are cemented onto the teeth and are referred to as ‘fixed’ dentistry. It takes two or more appointments to restore your tooth with a pressed ceramic porcelain crown. 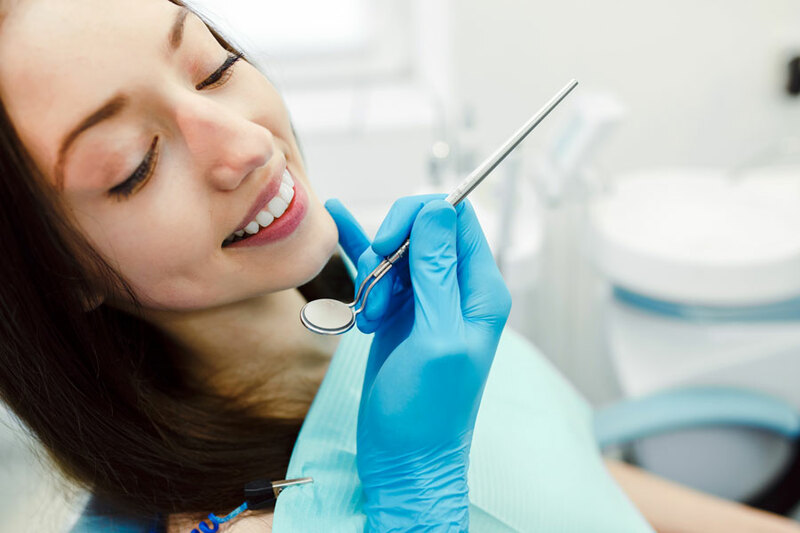 At the first appointment, your tooth will be numbed with local anesthesia so that you are comfortable and don’t feel any pain. Then the tooth is shaped with the dental drill to precise proportions. An impression is then recorded to make a working stone model for the dental laboratory. During the time that the laboratory is creating your new porcelain crown, you will have a temporary crown in your mouth. At the next appointment, the temporary crown is removed, and the new crown is tried on to make sure it fits well. Your dentist will then check your bite, make sure you can floss adequately, and check to be sure that the color is a good match to adjacent teeth. If everything is correct, your dentist will bond or cement your new crown into place. There will usually be about 1 to 2 weeks in between appointments. Dentures are a removable solutions for replacing missing teeth. Most people think of dentures as a replacement for all the teeth that many parents or grandparents may wear. While full dentures can be a solution if you are fully “edentulous” (lacking teeth), partial dentures are also a cost-effective option for replacing one or more teeth. Dentures support the facial profile and affect the muscles in your face. They will rejuvenate the appearance and functionality that may have been lost or inhibited previously. Because no teeth are left, full dentures use suction or various types of adhesive to remain in position. Alternatively, dental implants can also placed and connected to the denture with clips or magnets as a more secure method of retention. When you are missing as few as a single tooth, a partial denture is a cost-effective option. Partial dentures are “clipped” to the remaining adjacent teeth and use these for support. Modern day dentures can look very realistic and natural and feel comfortable. Contact us for more information on dental restorations or to schedule a FREE consultation.